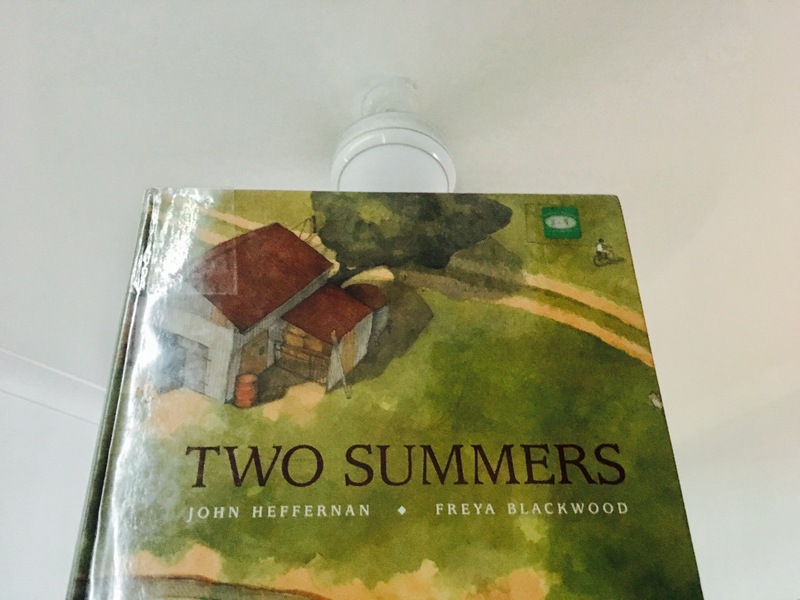 Two Summers by John Heffernan and Freya Blackwood | Educate.Empower. Two Summers by John Heffernan and Freya Blackwood is a moving and informative story told through the eyes of a young boy who lives on a farm through abundance and scarcity. Nature rules the lives of so many whose livelihood depend on the great cycles of nature causing great joy and also great distress. As most of the population live in cities and suburbs of those cities we really need to take the time to appreciate what goes on on those farms and how much weather patterns plays a role in what the farmers can and can’t do with produce and live stock. The young boy in this story is waiting for his friend Rick to come and visit him again over summer and is making comparisons to last year when the river flowed, the green grass, the number of animals around and the extra time they have to put into the farm when the grass isn’t there for the animals to feed on. He hopes that perhaps Rick will bring some rain with him. Two Summers is a beautifully written book with soft and emotive illustrations. You can feel the emotions of the family through their daily life on the farm and begin to understand what farming life is like when times are tough. So how can you link this book with your children and family to make more meaning? Geography: Taking a trip to the countryside is so important but if it can’t be done there are many local farms that are often within an hours drive of a major city. Take some time to see where your food comes from and learn how the amount of rain, the fluctuations in temperature and the pressure from large multinationals plays a role on the lives of the people who provide food for us. English: Look deeper into perspective – how would you feel if you lived on a farm? How does this boy feel? Science: Look at the rainfall and temperatures of a large farming area where your food comes from. How do you think this climate effects produce? This entry was posted in Books with current issues, Environmental books, Uncategorized and tagged book, Book review, books, childrens picture books, climate, environment, farm, farmers, farming, farms, food, freya blackwood, john heffernan, learning, outback, picture books, read, reading, scholastic, teaching, two summers by educateempower.blog. Bookmark the permalink.